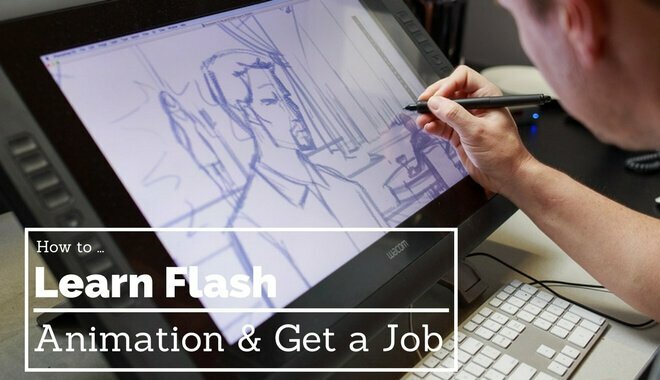 Flash animators are content creators who make digital animations using Adobe Flash. These animations can then be used in different digital mediums. Animators can create anything from banners on a client’s website to short films, games, and other creative endeavors. Flash animation is a creatively lucrative field. You can conceptualize and then animate that vision. And your concept could be anything: an app, a game, a short film, etc. Of course, to be a Flash animator, you’re going to need the appropriate software. But there’s more to it than that–you also need knowledge, skill, and creative drive. Those ingredients will give your project a better chance of standing out. The tools don’t make the carpenter, as they say. 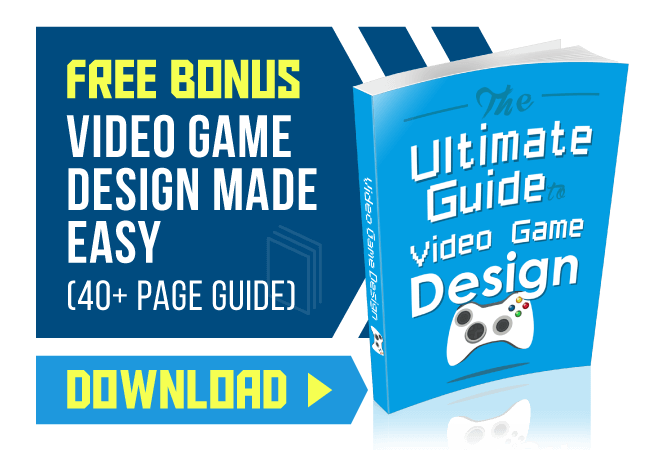 Related Content: The beginners guide to making your own video games. It’s widely accepted that you’ll need at least a bachelor’s degree to really make any headway in the animation business. You have some flexibility here. Many creative art-related fields would work: graphic design, animation, or even game design, to name a few. 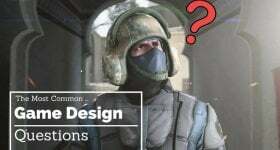 Many schools offer a wide array of bachelor’s and master’s degree programs in fields like game design, animation, and visual effects. And within those, there’s usually even more room for customizing your program to fit your needs. Along with these official requirements, you should also show a proficiency in other facets of art, like drawing. Sometimes it’s good to show your unique style, other times it’s good to show your artistic versatility (or at least your willingness to be versatile). Someone who sticks to one style can make some exceptional work, but what happens when the project requires a different look and feel? It’s important to never stop creating for yourself (and your eventual fans), but working as an animator might require flexing your selfless muscle. Define your artistic principles and stick to them, but be willing to listen to criticism and new ideas (especially in the early days). Art is an ever-changing medium that will require you to adapt to different situations outside of your comfort zone. Companies want people who will bring a unique flair to the creative department. This can take many forms, and it can be extremely valuable–but not at the expensive of your teamwork abilities. The national average salary for flash animators is $74,117 USD. This depends on the usual factors: your experience, the company, the project, and where the company is based. Case-in-point: The highest entry-level animation salaries in the United States are in California, around $88,150 USD, so geography plays a big part in what you can make. An important forum and outlet for flash animation was the wildly popular Newgrounds.com. Back in the early to mid-2000’s, flash animation was going through a renaissance. With the creation of Newgrounds, flash animators and creators could convene, share their creations, and even build up valuable networking opportunities with fellow animators. Creators could make their own short films, animated series, and games for everyone to enjoy for free. This proved to be an important gathering for some of the most talented minds in flash. Animations like the Xiao Xiao series, in which a stick figure continuously fights off other stick figures in an amazingly fluid and captivating way, were a staple on a site like Newgrounds. It gave the viewer entertainment, and it gave the animator a global audience. Before YouTube became a mainstay, a global audience was out of reach for most people. NewGrounds was an exception. Although seemingly primitive in production, the animation in Xiao Xiao is physically consistent and surprisingly realistic for being such an early example of flash animation. Of course, animation has surpassed Xiao Xiao by lightyears at this point, but it serves as a reminder that even simple animation done right can garner millions of hits and become part of internet history. The simplicity here is part of what made the fights so fun to watch. You should study animations, both old and new. Figure out which ones you like. Think about why you like them. Maybe even model their technique for a time. If you’re curious about a certain animation, reach out to the creator–a friendly email might just net you some tips and insights into their process. The valuable networking aspect that Newgrounds—and the internet as a whole—has, is a great benefit to you if you’re just starting out, recreationally or professionally. No matter where you are in your career, there’s someone who knows more than you. Reaching out might seem scary or pointless, but people love to help others. It’s flattering to be admired and have your work respected, so take the 15 minutes and try reaching out. Like most creative fields, you’re going to need to build up your portfolio. Substantially. You need to be animating every day because you know someone else is (and what happens when the job search comes down to the two of you?). “So, go for it from all angles, as in: throw all resources, focus, and dedication into learning this and making a living from it. 1. ) Amass your best work into a 1-minute reel that flows well. You will be forced to edit your stuff, which is its own beast, but motion designers are by nature editors as well. Make a crappy website that simply lays out your work in an easily accessible and easily viewable format. It doesn’t have to be the best design ever, but it should be functional. 2. ) Research companies that you wanna work for, whose work you love and admire and are invigorated by. If you’ve been doing your legwork (collecting references of dope motion work – amongst other mediums), you should already know whose work you love. 3. ) Blast your reel out to anyone you think would be hiring. You may have zero work experience in the field, but you’ll learn on the job. Trial by fire, baby. It’s not for all, and it can be nerve-wracking since you’re diving in headlong with no prior knowledge of who anyone is other than a company’s portfolio. Find out rates from forums. Ask it. 4. ) WORK, and work smart and hard and loose and limber. Survive and thrive. Make allies and watch out for rivals, and make sure you deliver your best at every moment. Don’t let yourself slip, and don’t let anyone get to you. Don’t focus on rates in the beginning, and only focus on quality, consistency, and superb output. The refrain here is always ‘work on your portfolio’. As r/aevz said, always work on functionality of your work over everything. Of course, it should be aesthetically pleasing, but the functionality can show potential employers how capable you are. You probably don’t want your reel to be more than 2 minutes. Anyone watching your reel has had to watch dozens of them already, and dozens more before they’re done for the day. Be respectful of that. Only show your best work. Don’t include anything that isn’t incredible. Game animators might need to display basic aspects like running, walking, or physics interactions. Anytime you see a potential job or company you want to collaborate with, your reel should be in their inbox within an hour–take time to research that company and learn what they’re looking for. Then craft your pitch around their needs (not your wants). The best advice is to keep animating. Since these careers are growing in popularity, you won’t be able to just eke by with a decent reel: you’ll need to make every effort to impress. Animating in your free time can put you above other talented competitors. If you look back at early animation, the functionality is what is the driving force. Xiao Xiao wasn’t aesthetically advanced–its off-beat ‘realism’ in terms of function and fluidity resonated with viewers. You’re going to need a solid concept of spatial awareness, fluidity of expressions, and just a general knowledge of how 2D and 3D animation works. This is a golden age of animation. Companies and artists consistently want to make more advanced and more realistic animation. It’ll always be a growing field that you can rely on. You don’t have to nail yourself down to one style and let all your other skills go to waste. You can prove yourself to be a versatile, ever-changing artist and be able to find a role involving flash animation that works for you. Flash animation has played a large part in the ever-changing technological landscape. It’s the main driving force behind famous games and apps like Zynga’s Words with Friends and the infamous FarmVille (hey, can you get my potatoes for me? Maybe scare those crows away?). FarmVille made its way to Facebook, iPhones, and iPads, much to the chagrin of non-players. However, FarmVille represents the amazing versatility and opportunity within the flash animation field. Although free to play, microtransactions made the game easier and provided benefits. It was the most popular game on Facebook in 2009, holding that position for two years. This led to spin offs, including a partnership with Hasbro for a board game. Imagine making the next FarmVille. There’s so much potential for growth, ideas, and development within the world of flash animation. The team of designers and animators behind FarmVille were people like you. People hoping to break through into the business of animation. They made the mechanics of the game functionally addictive (which is why everyone’s aunt was constantly sending them FarmVille requests, seemingly with no end in sight). Flash has such a strong presence on electronic devices where once it was confined to just personal computers. Vying to make the next best flash game/app is a possible, accessible reality these days. You could be part of a future landmark project (it might already be on your reel…), just do the work!